The Palestinian Authority has officially distanced itself from funding the salaries of Palestinian terrorists. But in reality, nothing has really changed. The PA will transfer American and European money to the PLO, who in turn will pay the salaries of Palestinian terrorists sitting in Israeli jails. Within the United States, many members of the political establishment have been critical of U.S. and European money being given to the Palestinian Authority, only to have it used in order to fund the salaries of Palestinian terrorists sitting in Israeli jails. Last year, according to Palestinian Media Watch, the Palestinian Authority spent at least $100 million to pay the salaries of Palestinian terrorists sitting in Israeli jails. In fact, many Palestinian terrorists sitting in Israeli jails have higher salaries than Israeli school teachers, social workers, and journalists starting out their careers. In response, the U.S. Congress, as well as the parliaments of Holland, Norway, Britain, and others, have demanded that the PA stop doing this. Some political leaders in the U.S. have even called for cutting off funds to the Palestinian Authority based on this fact, alongside their unity agreement with Hamas. Now, in response to this criticism, Palestinian Authority Chairman Abu Mazen has signed a presidential decree changing the name of the PA Ministry of Prisoner Affairs to the PLO Authority of Prisoner Affairs. By doing this, Abu Mazen will tell American and European donors that the Palestinian Authority is no longer funding terrorism. However, what Abu Mazen will not tell donors is that their money is being sent to the PLO, who does use the money to fund terrorism. 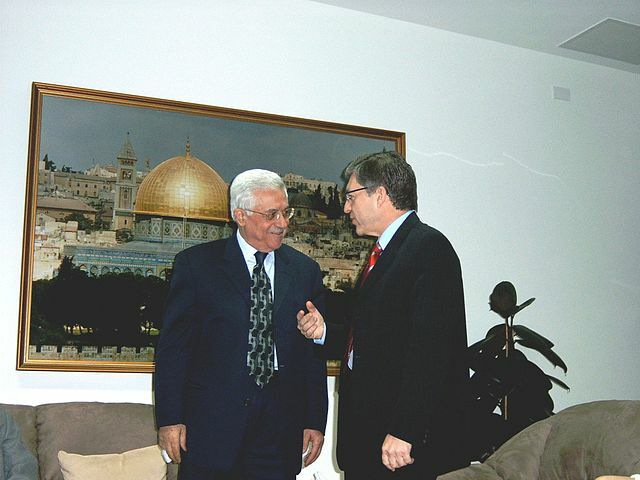 Abu Mazen hopes by having the money used indirectly instead of directly to fund terrorism, the criticism will die down among donor nations to the Palestinian Authority. However, Palestinian Media Watch reported that nothing really changed, as Abu Mazen will still be in charge of the funds. The official PA daily Al Hayat Al Jadida reported that the new Authority “will be subordinate to the PLO and supervised by it and by the Palestinian presidency.” Abu Mazen has even appointed the same minister who formerly oversaw the payment of prisoners’ salaries under the PA Ministry of Prisoners’ Affairs to serve in the same capacity, only now as head of the new PLO Authority. Abu Mazen has again given Issa Karake, his former Minister of Prisoners’ Affairs, “the rank of minister” in his new position as head of the Authority of Prisoners’ Affairs. Only one question remains. Given all of these facts, will the name change in and of itself, which supposedly distances the PA from funding terrorism, be enough to curb the international criticism for the PA’s funding of terrorism?